Experience adoption through the eyes of those who have lived it. Read fascinating tales, adoption tips, and experiences to learn from. 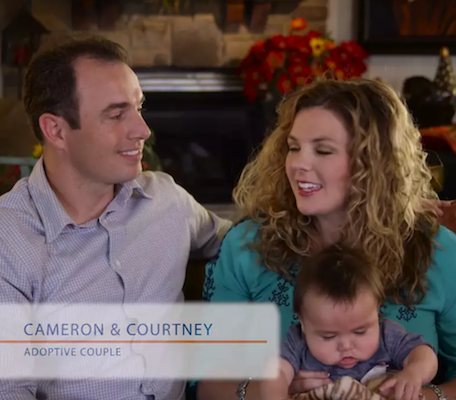 Rub shoulders with the adoption community, and get expert help and advice. We have many resources that can help you get the answers you need. Forever Bound Adoption is very easy to work with, super supportive, and quick to reply to phone calls or emails. We have been very pleased with our experience using this agency. Definitely one I'd recommend for anyone looking to place their baby or adopt. We have been working with Forever Bound for about 5 months and have had nothing but positive experiences! They are very organized, profession and bend over backwards to help you out. We are so happy we chose to work with them! The following resources may be of benefit to you. However, Forever Bound Adoption does not necessarily agree with or endorse all of the content on each site. You will be directed to a new website, should you choose to explore these resources. The following resources may be of benefit to you. However, Forever Bound Adoption does not necessarily agree with or endorse all of the content on each site. Should you choose to explore these resources, you will be directed to a new website. Donec pellentesque magna in condimentum viverra. Sed finibus urna ac nunc lobortis ultricies. Sed iaculis nec nibh quis facilisis.